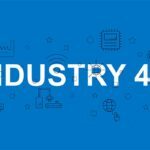 EuroBLECH 23 – 27 October: TRUMPF; All you need to stay on the lead. 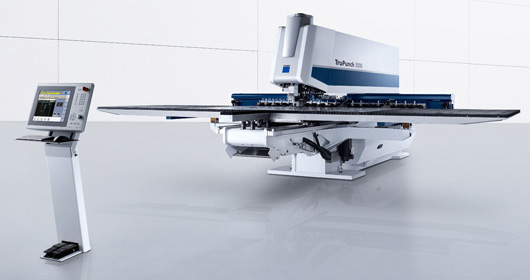 October will see the Euroblech exhibition held in Hanover, Germany, and once again, TRUMPF will be a shining star. 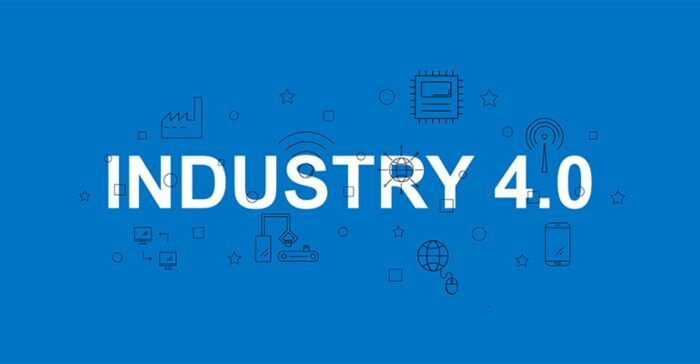 The world’s largest trade fair for the sheet metal industry, EuroBLECH will see 1400 exhibitors from 40 countries showcase a wide range of innovative machinery, tools and materials. This year, EuroBLECH will have special focus on energy efficient technology and environmentally friendly manufacturing processes. TRUMPF will be unveiling their new 2D laser machine at this special event. Headland Machinery’s joint Managing Directors Annaliese and Richard Kloe will be heading to Hanover for the event and holding a dinner on Thursday 25 October, so please let us know if you will be there and would like to attend. 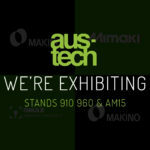 TruLaser Tube 7000 laser cutting machine for pipe and profiles will be on display. It is fitted with a swinging cutting head and a flexible discharge station. 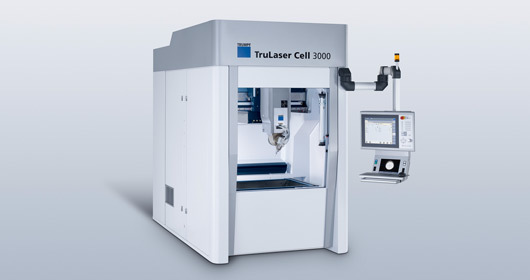 TruLaser Cell 3000, a unique, all-purpose laser machining center. It cuts and welds in both two and three dimensions, making it suitable for all batch sizes and every application. Integrated into a process sequence together with the TruBend 7036 brake press and a TruMark 7000 labeling station. 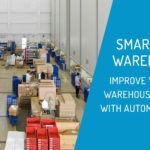 See for yourself how the TruTops Fab software controls the processing sequence. See the new SheetMaster Compact in combination with the TruPunch 3000. 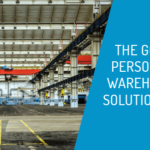 This space-saving automation unit is absolutely reliable as it loads the punch and removes both scrap skeleton and microjoint panels. 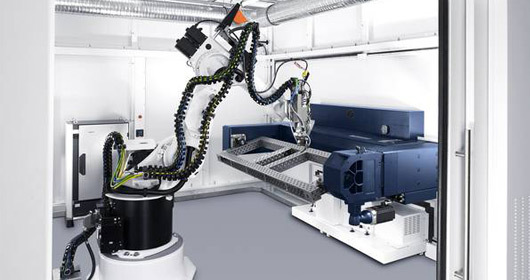 The TruLaser Robot 5020 welding cell – with the new, automatic rotation changer with turning axes – represents a high-productivity automation solution for long production runs. Available for the first time at the Euroblech is the modular clamping system for laser welding. Used for fabricating prototypes to producing components in smaller numbers. 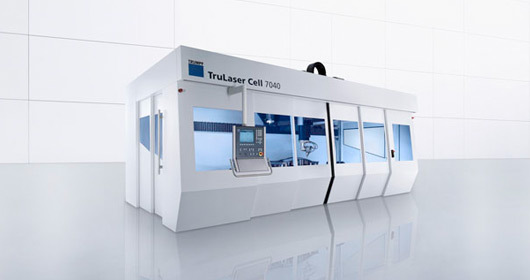 You’ll also see 2D and 3D laser machines, such as the TruLaser Cell 7040 in dual-station mode. 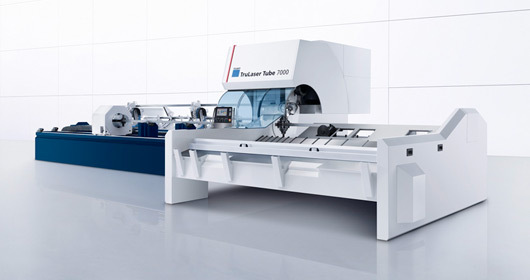 They can also see the TruMatic 7000 laser-punch machine and a variety of bending concepts, including the prize winning TruBend Cell 7000. 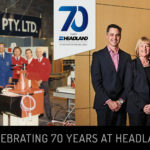 If you are interested in attending EuroBLECH or wish to RSVP for our dinner, please contact us directly on 03 9244 3500 or email your interest to info@headland.com.au.